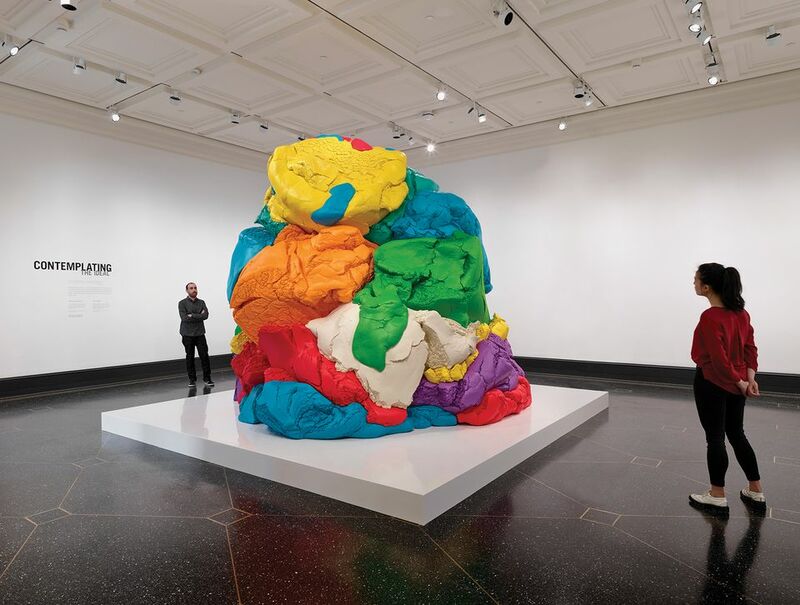 At his first sight of the monumental, multi-scoop plop of sundae that is Play-Doh by Jeff Koons, Paul McCarthy’s eyes went wide with amazement. “How did they even get this in here? !” he exclaimed, during a VIP preview of Plato in LA: Contemporary Artists Visions (until 3 September ), a group exhibition marking the precedent-shattering debut of contemporary art at the Getty Villa. I had a similar question about the whole show. 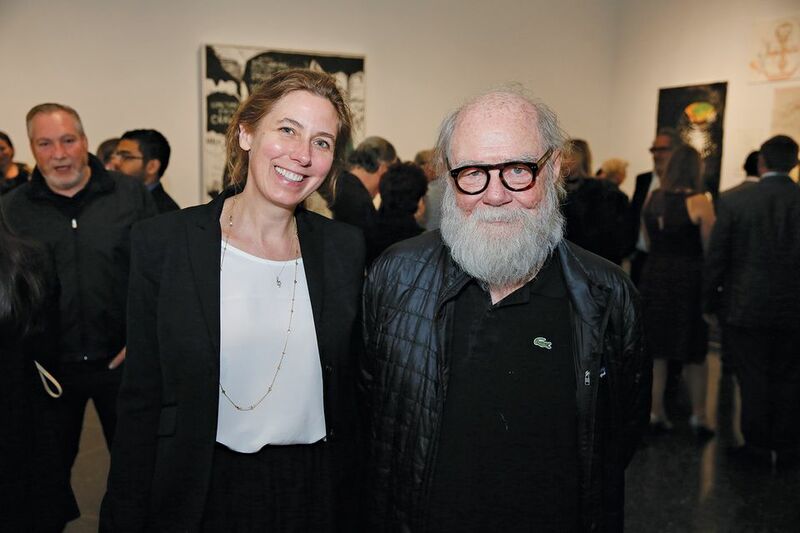 Initiated by the independent curator Donatien Grau, and organised with the Getty’s senior curator of antiquities Jeffrey Spier, it also features new or recent work by McCarthy, Adrian Piper, Joseph Kosuth, Rachel Harrison, Raymond Pettibon, Mike Kelley, Michelangelo Pistoletto, Huang Yong Ping, and Whitney McVeigh—some of it a bit risqué for so conservative an institution. “The Getty Trust is dedicated to the development of knowledge, both artistic and general,” Getty Museum director Timothy Potts told me. “That’s what this is about.” Still, he said, it took some doing to get the institution on board. “It speaks to the power of a good idea,” he said. Each of the artists, according to Grau, has made work related to some aspect of Plato’s legacy for politics, religion, art, and ethics. “It’s Plato, illustrated,” he said. 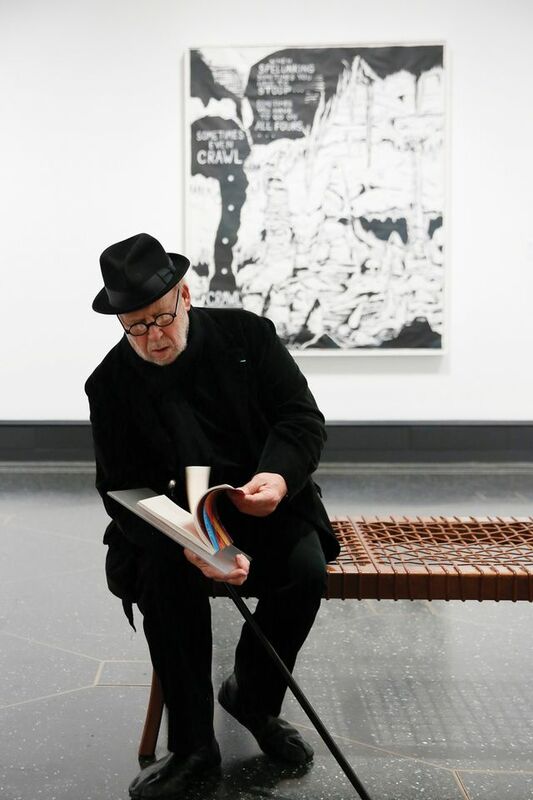 “Irreverent and true.” For his part, in the neon work Intellect to Opinion, Kosuth quoted the Greek philosopher for the first time in his career. McVeigh supplied a Platonic library of books on a wide range of subjects, from plumbing to town planning and digestion. And McCarthy made a new set of scatological drawings of Plato’s banquet symposium, which ends in a suitably debauched scene of drunken puking. “All that’s left is nature,” he remarked, with his own poetic wisdom.